Please note this is very much a work in progress and in many ways is just a recording of my thoughts/research as I try to unravel the Territorial numbering system, primarily from mid-1916 onwards. 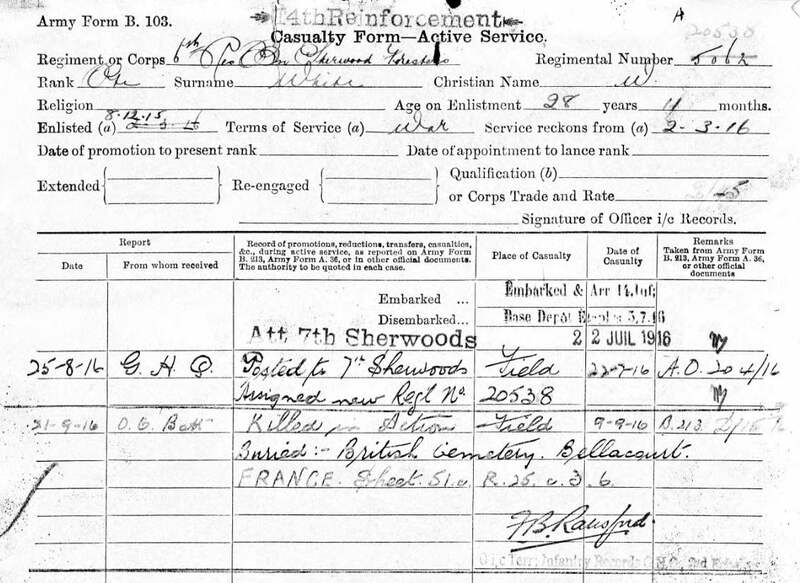 Was 7804/242592 Percy NcNeil the last man to be given a 4-digit number by the Sherwood Foresters Regimental Depot? Percy served with the South Nott Hussars (1026) before being wounded and transferred to Hospital in England. He returned to France with 1/5th Battalion (7804), before being transferred to the 1/6th Battalion as part of the 28th Reinforcement. 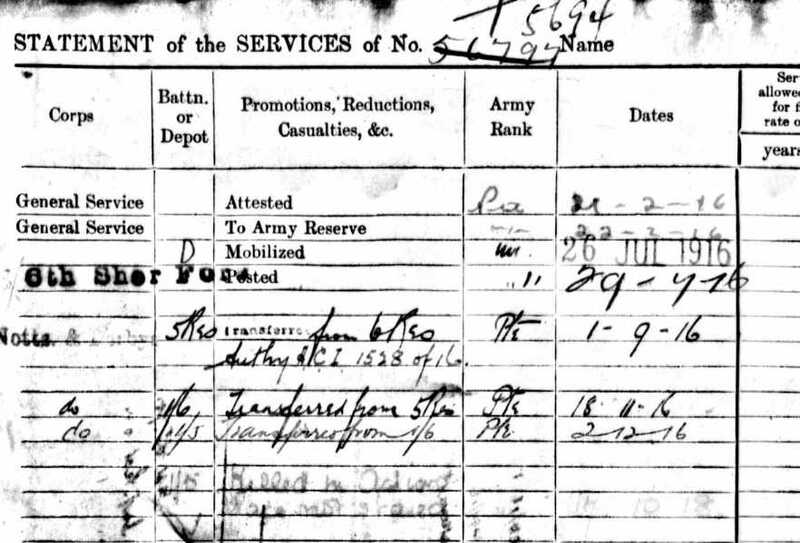 He was NOT renumbered at this time, possibly because the 5th Reserve Battalion (i.e. the amalgamated 3/5th and 3/6th Battalions) were issuing unique 4-digit numbers for men that were posted to the 1/5th and 1/6th Battalions. Mobilised on the 21st July 1916 and posted to the 7th Reserve Battalion the same day. A this time he would have received a 4-digit number (6448). On the 9th December 1916 he was transferred to the 1/8th Battalion and proceeded to France. NOTE: it is not clear if he was renumbered prior to leaving England or on arrival at the 14 Infantry Base Depot. On the 22nd December he was posted to the 1/6th Battalion and received a 5-digit number (20021). He was renumbered 242613 in Spring 1917. All of these men are believed to have formed the 26th Reinforcement that joined the 1/6th Battalion on the 24th December whilst they were at SOUSTRE. “Draft of 40 OR from Base (20 OR old 7th Battn & 15 OR old 8th Battn)”, which confirms the need to issue the series of 5-digit number prior to the Territorial Force renumbering. Similar to the 1/6th Battalion, the 1/5 Battalion also received Reinforcements in December totalling 2 Officers and 94 Other Ranks. For example, the Service Record for 20037 Chatterton (below) records his posting the 1/5th Battalion on the 2nd December and assigned the new Regimental Number 20037. The first to be renumbered in this series was 2908 George Allwood (below) of the 1/7th Battalion who was renumbered 20000 prior to receiving 203268 during the 1917 renumbering. 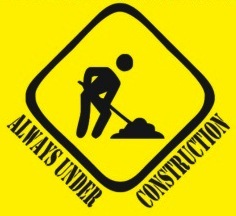 This numbering system then continues until 20090/203356 Henry Thomas Dearman (below). Henry attested on the 21st February 1916 and was placed in the Army Reserve. Mobilized on the 26th July 1916, posted to the Sherwood Foresters Depot and given number 56797. Posted to the 6th Reserve Battalion on 29th July 1916 and given number T5694. Transfered to the 5th Reserve Battalion on 1st September 1916 and given number 6130. Transfered to the 1/6th Battalion from the 5th Reserve on 18th November 1916. Arrived at the 14 IBD at Calais on the 20th November 1916. Posted to the 1/5th Battalion on 2nd December and given the Regimental number 20038. Renumbered 203304 in February 1917. Killed in action on the 17th October 1918. 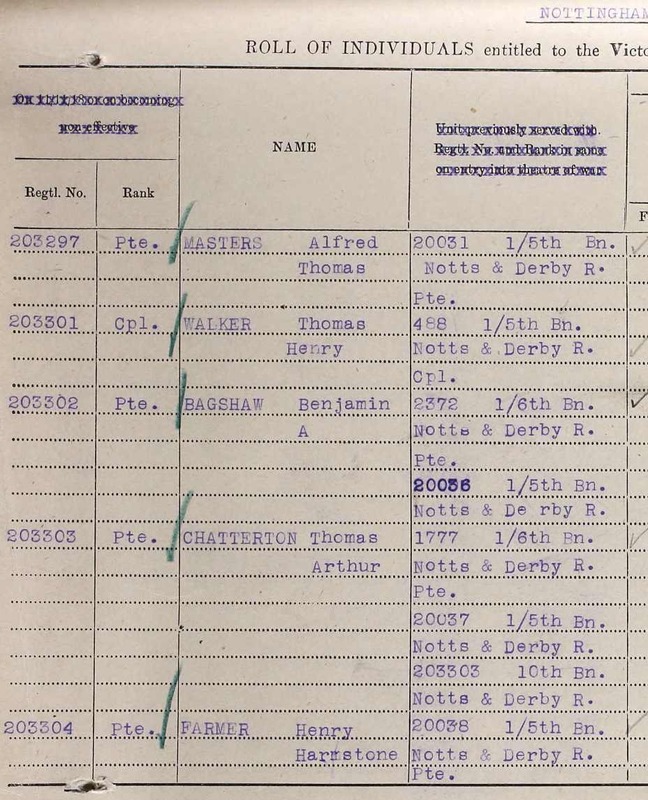 20031/203297 Alfred Thomas Masters who was posted to the 1/5th Battalion at the 14 IDB on the 18th October 1916 (below). Alfred was from Yeovil and enlisted in December 1915. He was posted to the 8th Reserve Battalion (4530) before transferring to the 7th Reserve Battalion when they merged on the 1st September 1916 and he was renumbered 6652. 20629 Harold Branson 1/5th Battn (e May 1915; formerly 4651 1/7 and 3/7) and killed in action 8/10/1916. Recording the transfer of men between the Sherwood Foresters Territorial Battalion. 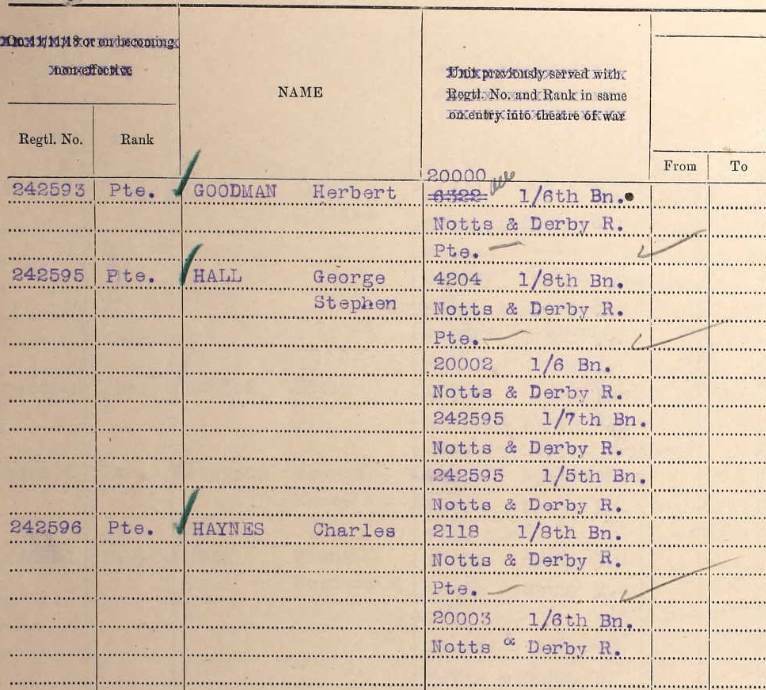 Numbers issued between 8th January 1917 to 27th December 1917 transfer men to the 1/8th Battalion from 1/7th Battalion – many men seem to be men who were wounded and treated in England before returning to France.